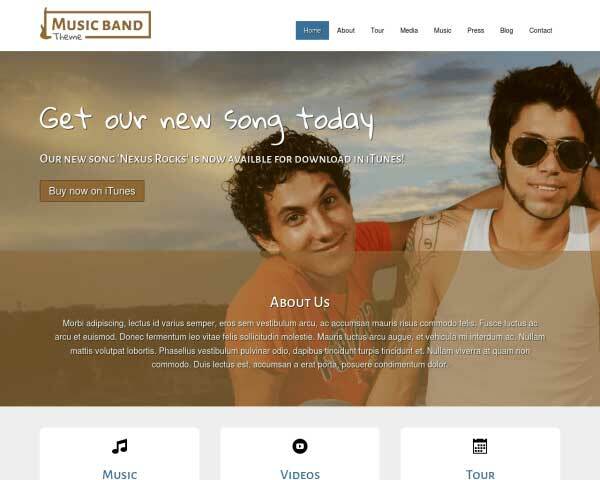 Our Responsive Music Label WordPress Theme makes it easy for your dreams come true. 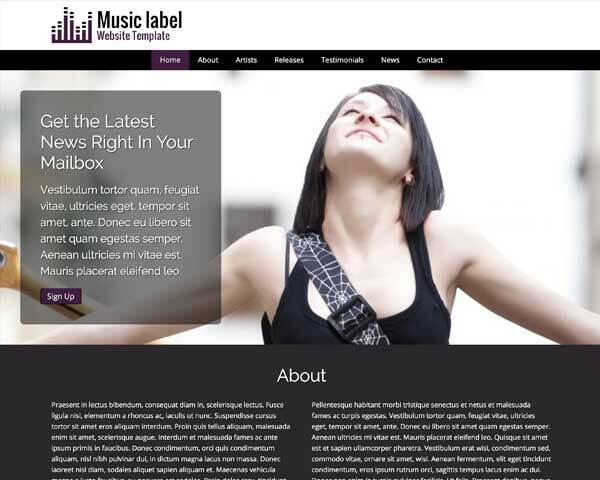 Designed for both the novice WordPress user as well as those who are skilled at using it, the Music Label WordPress Theme helps you easily and simply grow your business without a great deal of effort. Want to learn more? Visit the demo or take our free three day test run. 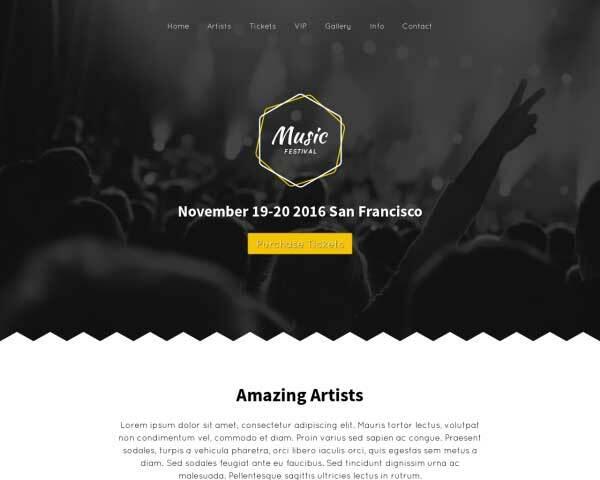 The entire setup of the Music Label WordPress Theme has the sole purpose of showcasing your record label company in the most appealing way possible. 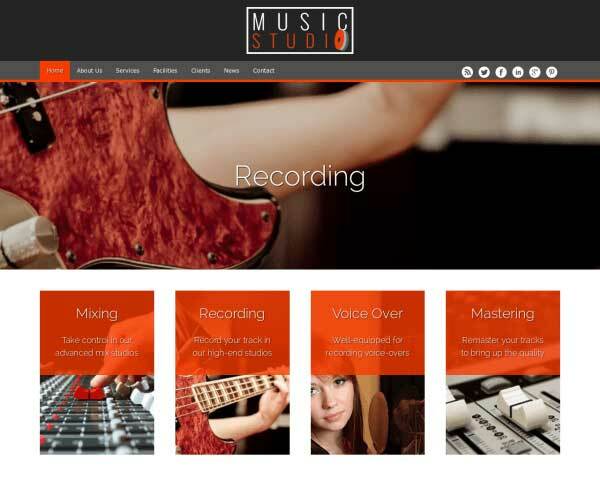 It combines a great-looking design with intuitive navigation and informative overview pages. 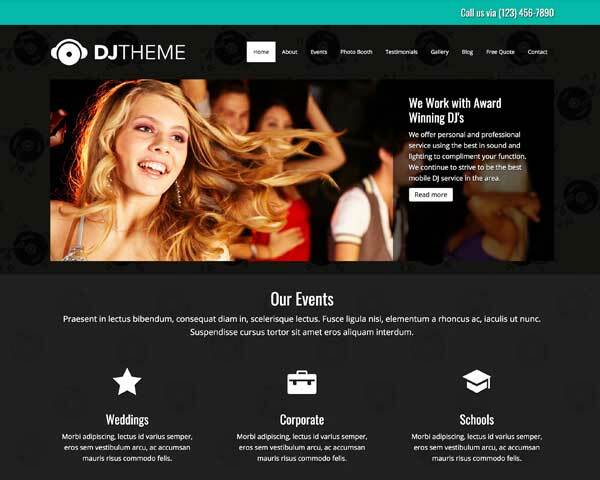 This is the WordPress theme all label owners should consider when the goal is to move forward online. Big or small, every artist that's affiliated with your label deserves a place and dedicated spot on your music label website. An overview of new releases is automatically updated when you add a new post in the right category. That way your homepage always stays up to date. 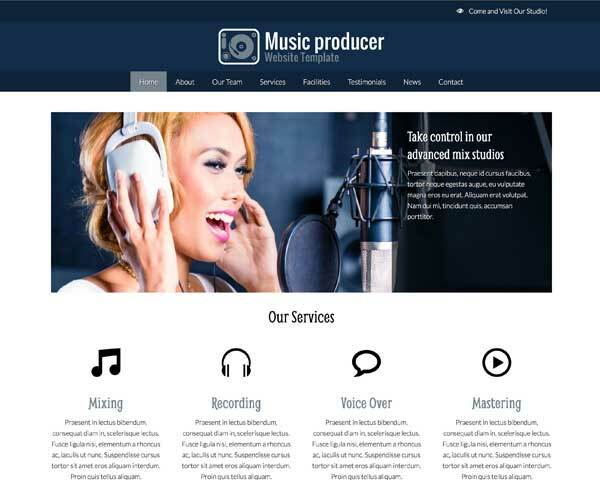 The Music Label WordPress Theme has a dedicated feature to display your professional you or your team members to the public. 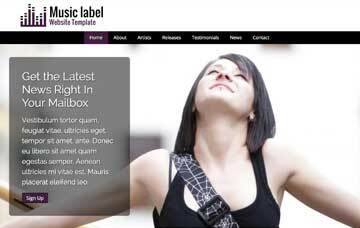 Attractively display client feedback with the Music Label WordPress Theme's quote widget. Just paste in your own text and the quotes will be automatically styled with no coding required. 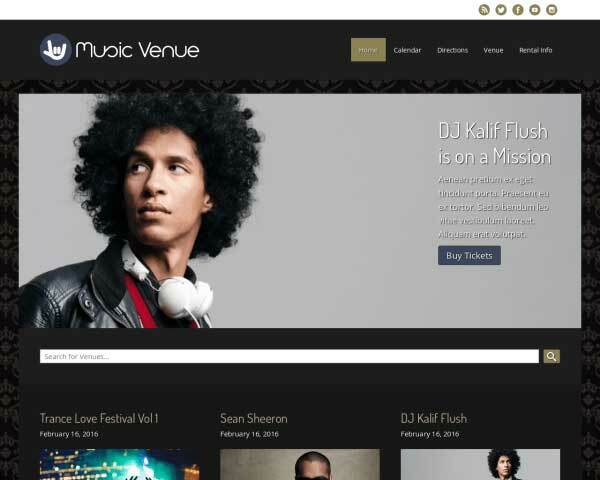 The contact page represents the Music Label WordPress Theme at its finest. The page is very inviting and gives your customers multiple avenues to reach you. 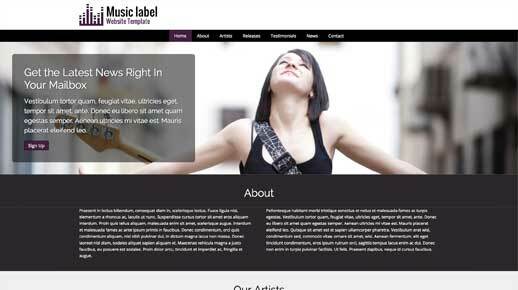 The refreshing tone and professional look of your record label website will extend to the mobile version when you start with the responsive Music Label WordPress Theme. 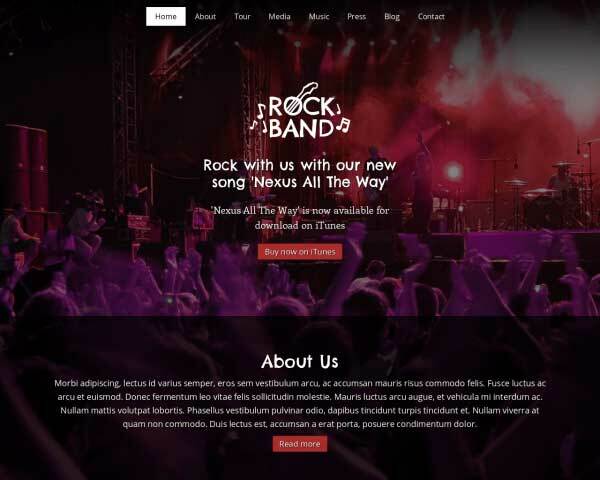 This website template's mobile-optimized design not only adjusts the layout of your content to display beautifully on any screen size, it does this automatically right out of the box, without any tedious coding or plugins required. As you add new content over time, or as new handheld devices are introduced over the years, you can rest assured that your website will look great and work perfectly even on small screens.